This piano is a rare beauty in today’s market. 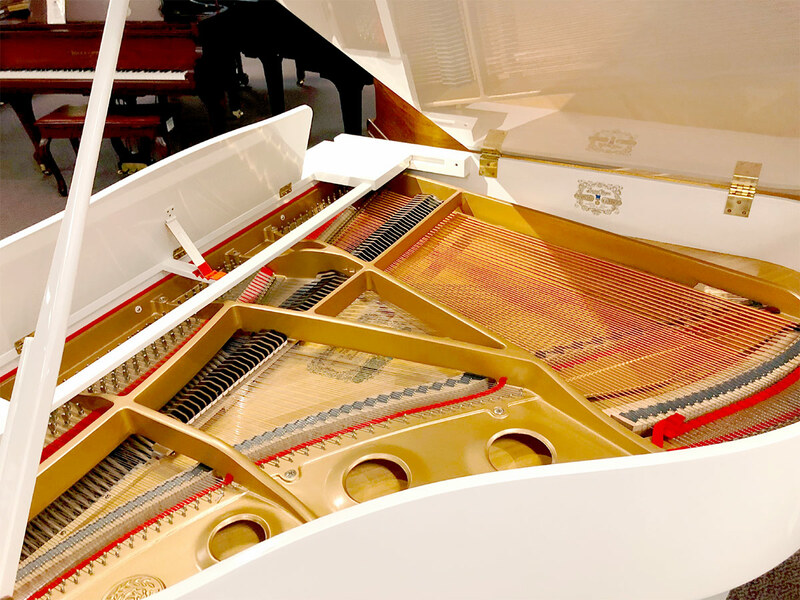 The elegant white cabinetry compliments the piano’s rich tone, which sings with color and clarity. 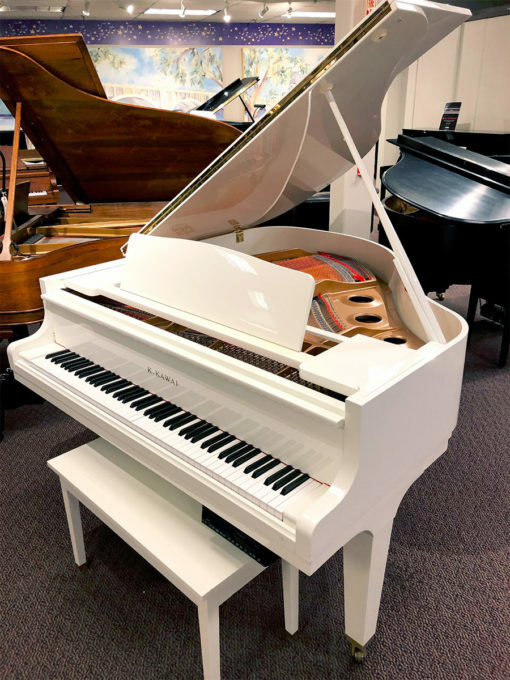 This piano comes equipped with a PianoDisc system, and the action is firm yet responsive. 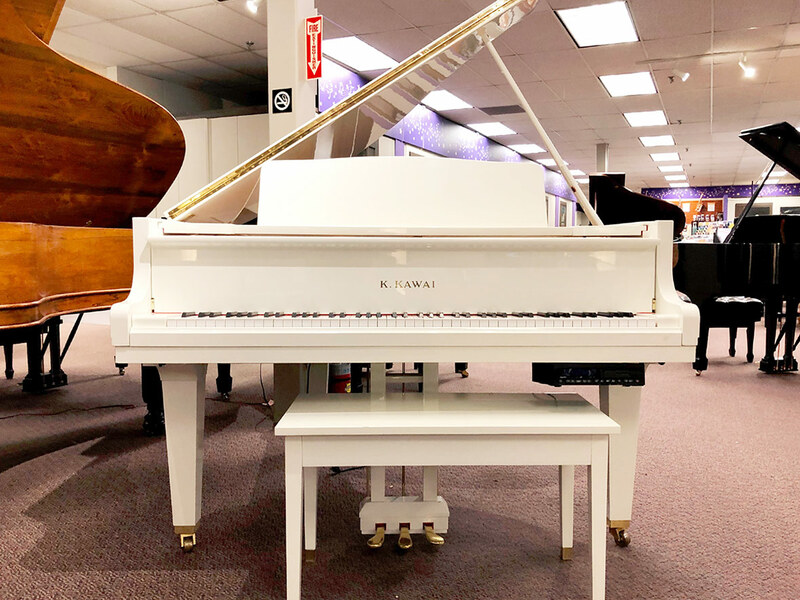 Priced at $6,995 this piano includes a matching bench.